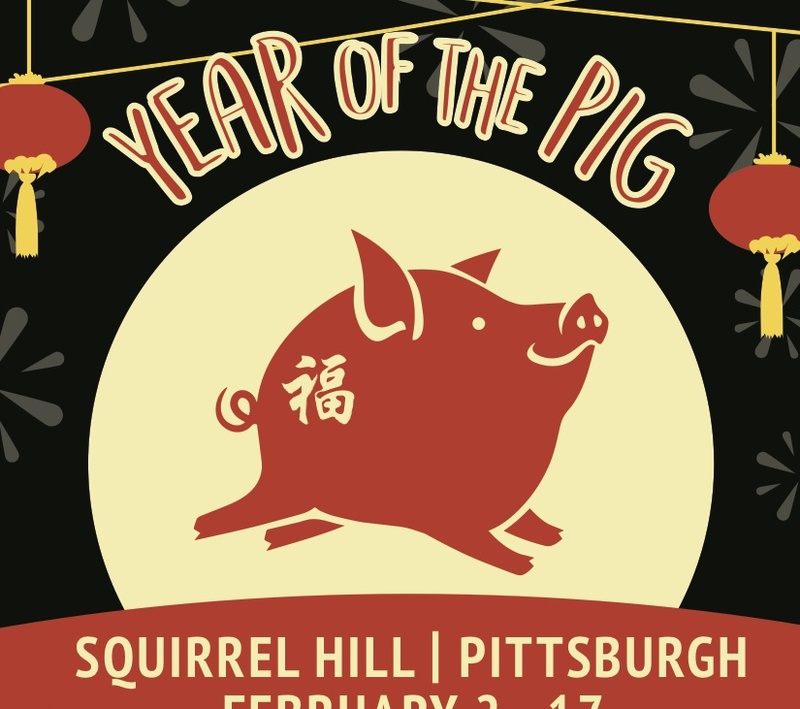 IN OUR 4th year of festivities, SHUC with our partners Uncover Squirrel Hill, Jewish Family and Community Services, and the Organization of Chinese Americans in Pittsburgh, will be heading to Heinz History Center this Saturday February 2nd as we welcome in the Year of the Golden Earth Pig! 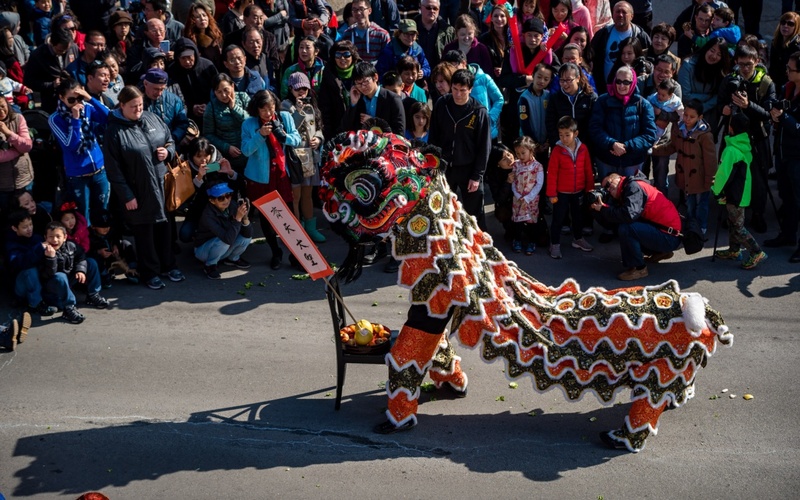 From 2:30pm to 4:30pm on the ground floor of the museum, we will kick-off the 2 weeks with some family friendly, live cultural and musical performances of pan-Asian dance and pipa instruments, martial arts demonstrations, and the crowd favorite–Chinese lion dance teams. And while you’re there, check out the epic Smithsonian exhibit “Destination Moon,” the historic Apollo lunar landing here just until February 18th. All performances are included with a regular museum admission ticket. 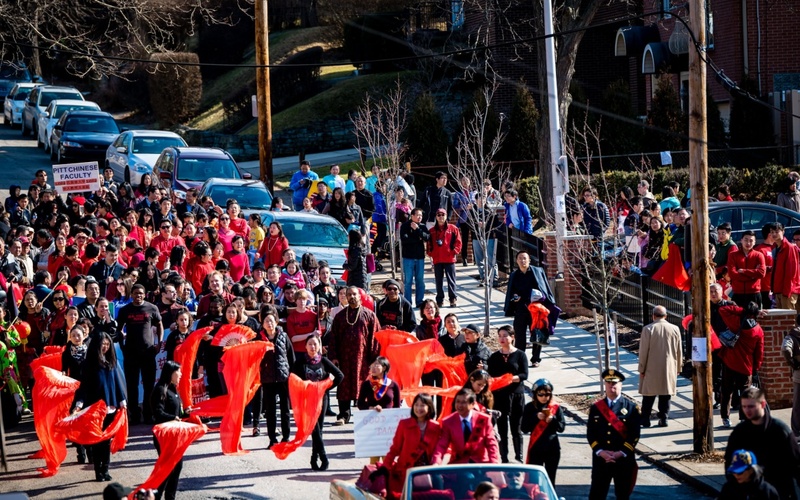 On Sunday February 17th, the Lunar New Year Parade returns to the heart of Squirrel Hill! Starting at 11am at Philipps and Murray Avenue, Steel Dragon Kung Fu & Lion Dance will begin the festivities and the new year with a traditional Chinese blessing ritual. Pan-Asian cultural organizations in resplendent costumes and uniforms will showcase their craft as we march up Murray toward Darlington Street. Weaving in and out will be Chinese dragon lines, lion dance teams and Thai Fire-eaters! The award winning Allderdice Marching Band will be keeping us in rhythm. Minadeo K-5 will show us how a young dragon team can rock the line! And Dragonboat teams Pittsburgh Paddlefish and Hearts of Steel share what makes them strong and resilient in our three rivers! This year’s grand marshal is Pier Lee. 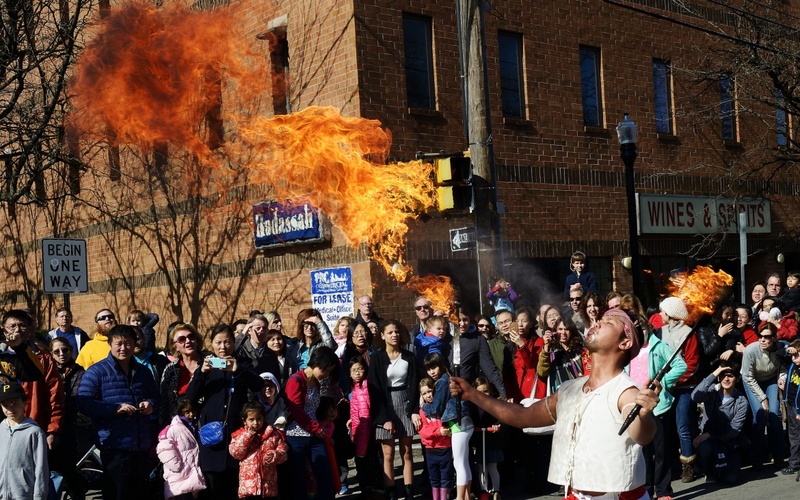 The Lunar New Year Parade is free and open to the public!